Here is what I came up with as a rough draft. I’m not sure how to position the pipes so that it provides #4 above, but this was a rough guess. 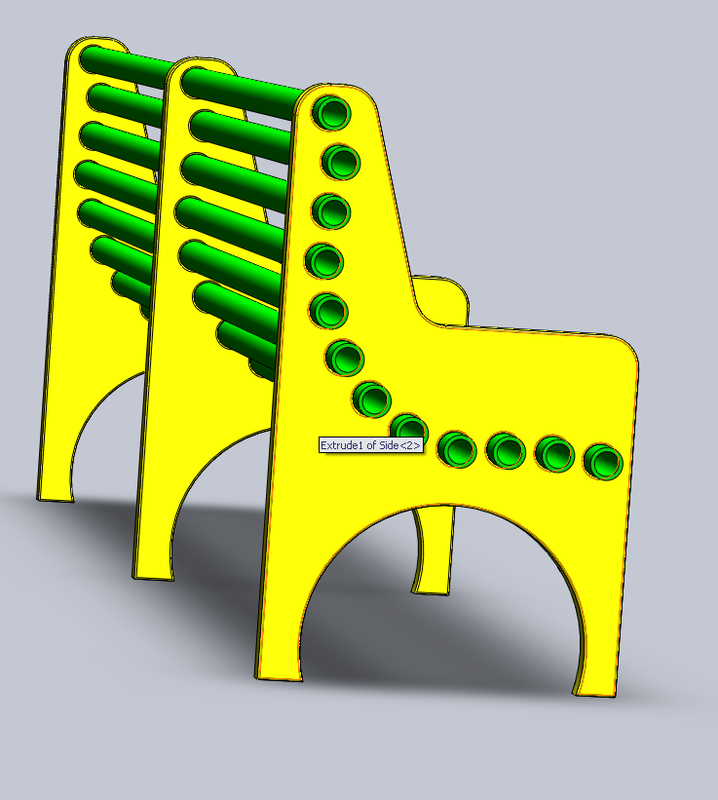 I’m using a SPLINE curve in SolidWorks with pipes 3″ on center. Any ideas about how to make something like this comfortable? Also, anyone know where to get load calculations for structural use of PVC pipe? It would be my preference to use thick walled aluminum tubing (or solid rod!) but again, #2 above needs to be satisfied. This entry was posted in Engineering, Fun, Interesting, Projects, Technique and tagged Bench, CAD, Park Bench, Projects, PVC Pipe, SolidWorks, Structural Pipe, Youth Center. Bookmark the permalink. Well, it is for all ages. Especially want it to be confortable for you when you visit again! If I have time, I’ll revise it a bit and re-post. I think the pipes should be touching for the best sitting surface. Thanks for taking the time to comment. I looked at your video and it was very well done. The PVC pipe bench has not been materialized yet, but if it ever does, I will surely incorporate your comments (the contour was simply a guess on my part). Hi, Jason. Thank you for a very cool and straightforward design. 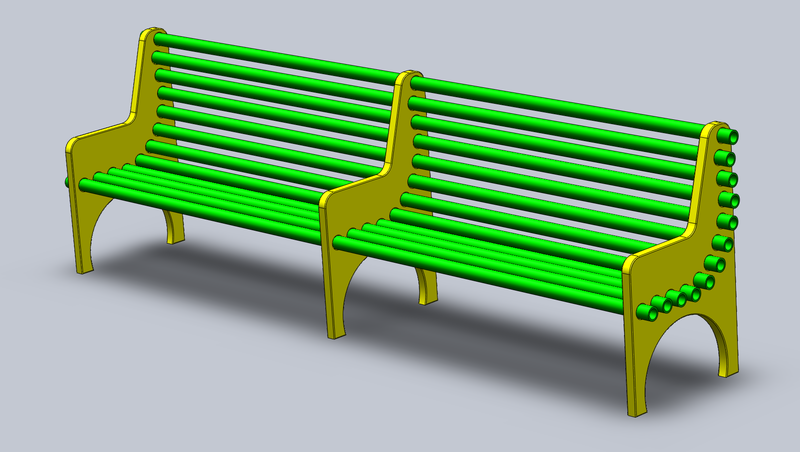 I hadn’t even thought of something like this and for what I want a bench for, I can modify it to work out just great. Maybe add a little something like Liquid Nails to keep the seating and backrest in place. I’m thinking of using something other than PVC pipe, like 1″ boards or something. This is what I need so my cats can sit on it without their tails getting caught in between the spaces. One little guy has a broken tail and I think it happened on my old-fashioned wooden bench. Thanks again. Your idea is fabulous!